Our team offers more than 30 years of experience representing Alabama auto accident victims. 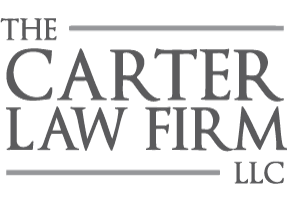 As longtime members of the community, The Carter Law Firm, LLC remains focused on obtaining the best results for their clients, maximizing the most out of each and every settlement in a timely, cost-effective manner. Under Alabama state law, you have two years from the date of the accident to file a personal injury lawsuit. If you fail to file a claim within that time frame, you may be unable to recover the monetary damages to which you are entitled. In short: when it comes to personal injury cases in the state of Alabama, time is of the essence. The fact that Alabama is one of the few remaining states with the “contributory negligence” principle on her books makes litigating personal injury exceedingly difficult. For instance, even if a judge or jury found that you were only 10% responsible for an accident, you still may be unable to receive any compensation whatsoever. That said, securing the future you deserve is far from impossible, especially when you consult Alabama’s premier personal injury attorney. In order to receive punitive damages in a personal injury case, you’ll typically have to prove that the defendant(s) acted either negligently or with intentional malice. This can be difficult to establish in a typical personal injury situation, particularly those involving auto accidents, which is why it’s so crucial to speak with a proven personal injury attorney as soon as possible. The Carter Law Firm, LLC has been defending Gardendale and Fultondale residents for more than three decades. If you’ve recently suffered an injury resulting from an auto accident, call (205) 808-0002 now to schedule your free 30-minute consultation. Call (205) 808-0002 Now For Help.